Observation - Bird - Dunnock - UK and Ireland. 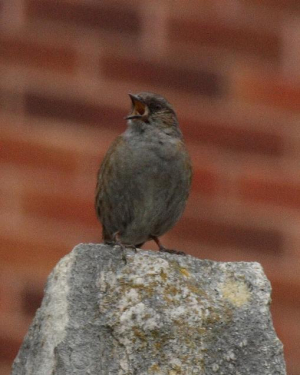 Description: For some reason, this Dunnock chose to get into a singing contest with a Greenfinch, not two metres away. For some reason, this Dunnock chose to get into a singing contest with a Greenfinch, not two metres away.